$42,500 No test drives unless cash or check in hand. Last edited by mr_dennis_s; 03-12-2019 at 03:15 PM. Last edited by mr_dennis_s; 02-23-2019 at 12:46 PM. GL with sale... 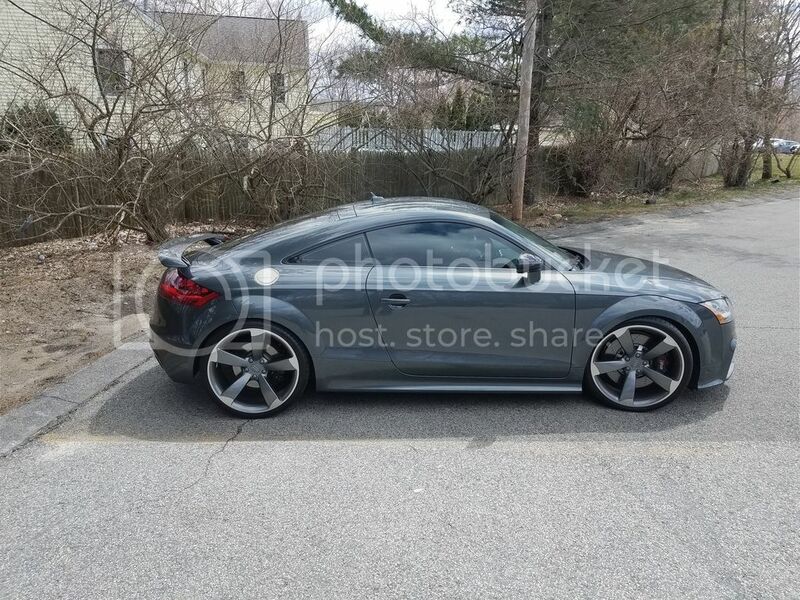 I miss my TTRS with a similar setup. Truly a beast. 09' DG R8 4.2 18' Q3 BO S+ 03' Forester XS 5spd. I want a ride before you sell! Car may be sold by the time Spring comes around BUT I will make sure to take you for a ride in my next beast. Bet you cant wait to bring the R8 back out. Car season needs to come back VERY SOON! Last edited by mr_dennis_s; 03-05-2019 at 06:48 AM. I bet that thing is an absolute monster on the track. Any 1/4 mile runs? No 1/4 mile runs. I just never wanted to launch car like that. I have a buddy that owns a McLaren 570S we did a roll from 50MPH and I pulled on him until about 125~ when he pulled away from me. It was incredible. what options does it have and do you have the stock wheels? can you pm me a link to pictures and provide a little more info on who did the work for you? Did the deal go through? I will be flying out 4/18 to drive it back home to MN. Sorry buddy! What you getting next Dennis? I will be at a lot of meets this year! So if you see me around just ask me for a ride! Unfortunately I don't think I will make it back home in time but I will be at a lot of meets this year! having some fun with it for sure! You know me too well! I had my eye on the one AMS Twin turbo one at Chicago Motorcars and it sold. So Pissed!